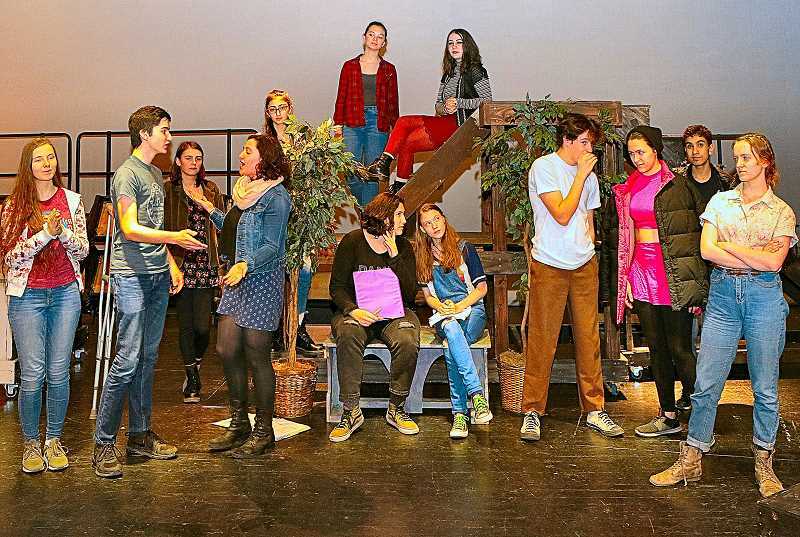 These and other emotions are played out on stage, as the "Company of Warriors" presents Cleveland High School (CHS) Theater Department's upcoming production of Shakespeare's "Much Ado About Nothing", opening April 12. "We haven't done Shakespeare for a while, and it seemed time to give our student actors experience with one of his plays," remarked CHS Drama Instructor – and the show's Director – Tom Beckett, at a recent rehearsal. "Another motivation is that we have 'Bard-o-philes' among us, who have been clamoring for the opportunity to act and speak in free verse; and thus, to tackle the 'Olympics of acting', as they say," Beckett told THE BEE. Although Shakespeare completed writing "Much Ado About Nothing" in 1599, the story is still fitting for our times, Beckett commented. "The two storylines play out a strange backdrop of a war – a war of the sexes. And also, as the title suggests, there is a big 'to do' about an event that's been falsified. Who's telling the truth? What does it mean to be in love? These questions are still floating through the gestalt of the nation!" The curtain goes up for "Much Ado About Nothing" at 7 p.m. on April 12 in the CHS Auditorium; and, there's a matinee performance on April 14 at 2 p.m. Tickets are sold at the door: $10 for adults, $5 for students.